CEC now offers developments the ability to achieve a new benchmark for the design and maintenance of green infrastructure, in housing and commercial development. Building with Nature has been designed to support the creation of high quality green infrastructure throughout the planning and development process. Green infrastructure includes parks, play areas, nature reserves and street trees, as well as rivers, ponds and other water features. CEC is a trusted consultancy delivering Building with Nature designs and Cornwall Wildlife Trust hosts a Building with Nature assessor. Why do developments need the Building with Nature benchmark? Potential to reduce objections from members of the public. Improved outcomes for water management and public safety. Works efficiently with nature to make the most of the opportunities on site to benefit people’s wellbeing, wildlife and the water environment. CEC’s ecologists and landscape architects can work with you to design Building with Nature spaces. Cornwall Wildlife Trust provide an assessment and accreditation service. There are different levels of support available to suit your needs. There is a set of core standards, which define the basic approach to green infrastructure. They include alignment with the local policy context and a commitment to long-term maintenance. 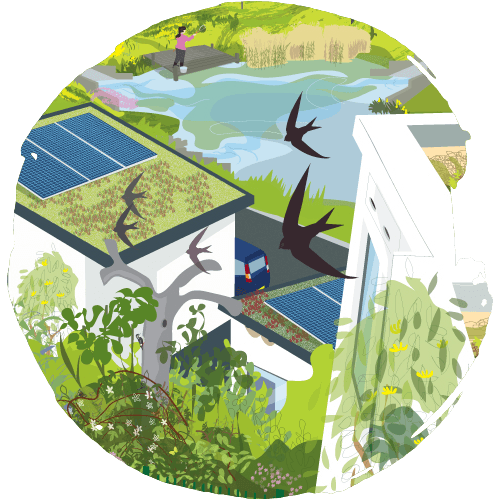 Building with Nature offers a framework of standards divided into four themes: core, wellbeing, water and wildlife. 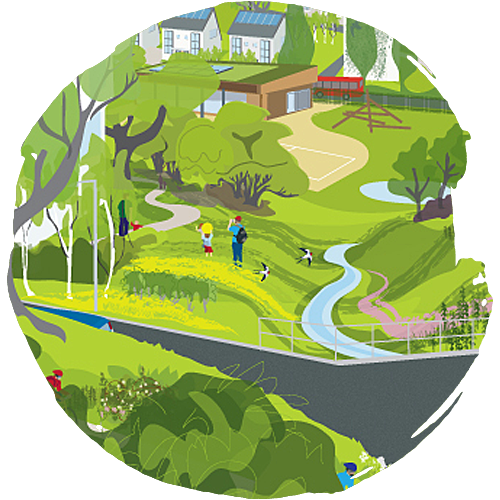 Excellent – exemplary quality green infrastructure, delivering benefits within and beyond the boundary of the scheme. Distinguish green infrastructure from a more conventional approach to provision for open and green space . 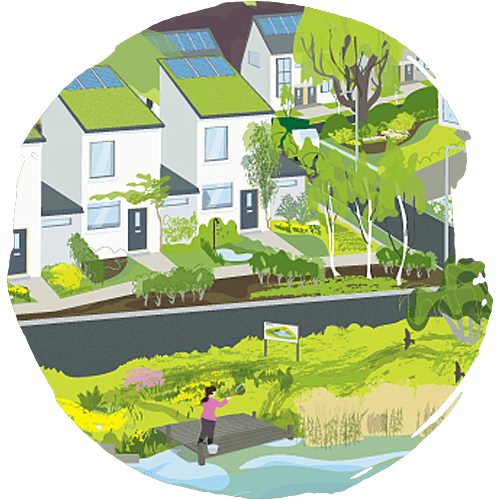 Secure health and wellbeing benefits through the delivery of green infrastructure features close to where people live. Managing water quantity and quality, and maximing opportunities for amenity and biodiversity. Create places where nature can flourish, both within the boundary of the scheme, and at a landscape scale. There are three levels of Accreditation: Design Award, Full Award (Good) and Full Award (Excellent). Applications are invited at any stage in the development process: pre-application, reserved matters application, and post-construction/in-use. At pre-application stage, or for small developments, the entire masterplan is assessed for accreditation. For bigger schemes, reserved matters applications of individual parcels of development are eligible for assessment, to allow a phased approach to accreditation. 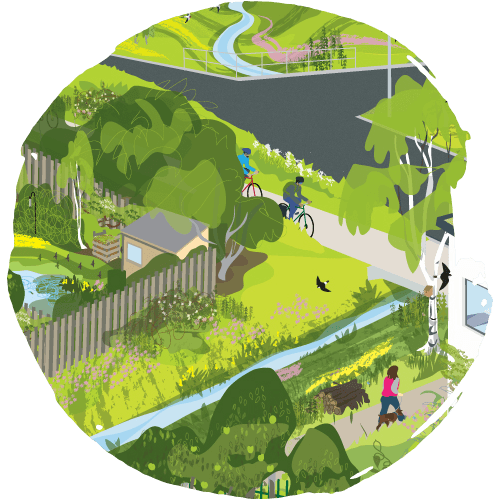 Recognising high quality green infrastructure at the planning and design stage of development. Recognising development that has delivered a high quality of green infrastructure. Recognising development that has delivered an exemplary of green infrastructure. Building with Nature was developed by Gloucestershire Wildlife Trust, in partnership with the University of the West of England, Bristol.